. : Farm Forest Line - Formal Scientific Research into farm forestry:. Formal scientific research relevant to farm forestry in Australia is undertaken by many different organizations including universities, national research and development corporations, government laboratories, private industry, public sector agencies, CSIRO and state agencies. 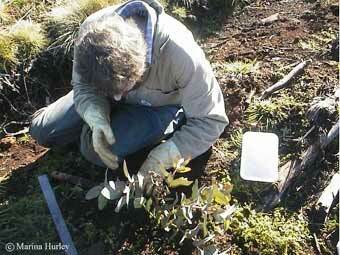 University researchers commonly involve postgraduate students in research projects related to forestry and farming. Cooperative Research Centres, generally known as CRCs, bring together researchers from a range of research organisations in long-term collaborative arrangements that support research and development and education activities that achieve real outcomes of national economic and social significance. Internationally there are a number of research groups that may be of interest to Australian farm foresters including those in New Zealand and South Africa. The Farm Forestry and Agroforestry Reference Library is a project developed by the Joint Venture Agroforestry Program (JVAP) and ANU Forestry. The 'reference library' is a free downloadable database of farm forestry and agroforestry research. Many of the states support their own forestry or land management research groups.